Nice and bright studio on the 1st with elevator opening on deep terrace 10 m2 sea view in a residence with private parking. 10 mins walk from the beaches Cros de Cagnes and close to everything (train, bus, restaurants, bakery..). It can accommodate up to 4 people, without the need of a vehicle. It consists of an entrance with cupboards and kitchen, fridge freezer, coffee maker, kettle, oven, hotplates, kitchen utensils, crockery, a living room with 2 Bz 2 persons (160 x 200) and (140 x 200 ), dining table, coffee table, LCD flat screen TV, closet-dressing room, a bathroom with tub, toilet, washing machine, storage. In Nice, capital of the French Riviera, a nice quiet house, independent, 2 rooms overlooking terrace of 20 m2 with garden furniture, very sunny, fitted kitchen and private parking. Lawn 100 m2 quiet, clear view, 4 km from the beaches of Nice. All the advantages of a big city without the disadvantages. Vieux Nice 6 km, museums and quaint restaurants, Monte Carlo and Monaco 29 km, Cannes and its festivals 30 km, Grasse and its perfumes 35 km, Ventimiglia (Italy) and market 48 km. I rent a room of 11 m² in my apartment of 68 m², on the ground floor, with a terrace of 35 m². To share: bathroom, toilet, kitchen, WiFi. Located 500 m from the center of Cagnes-sur-Mer, bus nearby for any direction. I rent exclusively to a girl or a lady, and only one person. Nice West, near the Phoenix Park: 2 room apartment 30 m² with 1 bedroom, bathroom, bath, washbasin, mirror and spotlights. Kitchen / living room; individual, motorized shutters. Wardrobe, table chairs, fridge freezer compartment, washing machine, ceramic hob, mini oven. Sofabed. Close to all shops, bus 200 m, train station Saint Augustine 5 minutes. Easy access, highway and airport. Very nice quiet holiday apartment of 50m2 with terrace, barbecue area with sea and mountains without opposite on the hill of Fabron in an elegant residential area west of Nice, consisting of a very large room départagée for 2 king beds + 1 type single-away bed + a sofa, satellite TV + internet, a large separate kitchen with table and two chairs, a large fridge, ceramic hob, washing machine, bathroom with bath and bidet, separate toilet, large upright type dressing. To get into town, take the minibus 73 has two stop station just outside the residence at 1 meter. Marble floor and large sliding windows. Very nice quiet vacation F1 50 m2, terrace, barbecue area, with sea and mountains without opposite on the hill of Fabron, Nice upscale residential area west with parking, consisting of a very large room for 2 beds départagée King + type 1 single bed wardrobe + a sofa, satellite TV and internet, a large separate kitchen with table and two chairs, a large fridge, ceramic hob, washing machine, bathroom with bath and bidet, separate toilet, a large upright type dressing. To get into town, take the minibus 73 has two stop station just outside the residence at 1 meter. Marble floor and large sliding windows. Vacation Rentals, beautiful F1 sea of ​​St. Lawrence with spacious terrace, direct access to the beach and all foot convenience. Airport 5 minutes with shuttle bus and outside the residence (Nice, Cannes), railway station 1.5 km. Shopping center, restaurant, marina. The apartment is 45 m² with terrace, air conditioning, team kitchen: hob, oven, microwave, fridge, freezer, flat screen TV, bathroom with walk-in shower, bed 160 x 200, washing -Linen, possibility parking. At 85 km from the ski resort Valberg. Nearby: water park, amusement park, forests, mountains, rivers, tennis. Au pied du tramway de la promenade des Anglais et à 2 pas de l’EDHEC. Colocation pour 5 étudiants. Colocation de 5 chambres au 7eme et dernier étage avec assensceur entièrement refait à neuf. Chaque chambre de 11 m² comprend une salle de bain ou salle de douche avec WC privative et dispose soit de la vue mer soit d’une terrasse. Les charges comprennent l’eau chaude et froide ainsi que le chauffage. La cuisine ainsi que les chambres sont intégralement équipées à neuf. Close to airport, Saint Augustine station and Paul Augier high school, private room, bathroom, shared toilet and kitchen, washing machine. A large bed, a large desk a large closet. Tram at the foot of the building. Apartment at 5 ° with elevator, sea view on balcony, F3 occupied by the owner and a small dog. Loue, charming 2 rooms with cozy decor, terrace, sunny and quiet in a park. Private parking. It is located close to the new Nice west Sainte Marguerite district and its shopping and business center, 5 minutes from Nice&#39;s beaches, restaurants, parking, 2 minutes from the international airport Nice Côte d&#39;Azur and the new stadium Allianz Riviera. opening soon of a large Ikea. All these places will be served by the tram. || || Price only applicable during the month of June to cut European Football. Outside this period the European Cup, the rates for the summer. For rent: A 3 rooms of 60 m2 in Cagnes sur Mer, with air conditioning, private garden, parking, near the sea, in a quiet residential area, 5 minutes from the city center, 2 km from the beaches. Hippodrome, castle, museums, attractions including Marineland, typical markets, ideal park to visit the French Riviera, central position. Pool and tennis courts of the city, 5 minutes. I rent a room in my house, a villa with garden, facing south, sea view, on the heights, in Nice west, near airport, train and bus, but quiet. In the center of the small town of Cagnes-sur-Mer, close to all shops and facilities, this beautiful and comfortable apartment will be the ideal starting point for your holiday on the French Riviera. Located on the 3rd floor, it is air conditioned. Holiday without a car, walk 5 minutes from the beach and shops. Near: downtown, train station and airport. Secure Parking. 3rd floor with elevator. In a privileged and secure, in a beautiful park with Olympic size pool, tennis, private restaurant, fitness center, a beautiful sunny apartment with breathtaking views of the sea. Has input, dressing, living sea terrace , upscale kitchen, two bedrooms with terrace, bathroom, separate toilet. Closed garage in the basement. Five minutes from the beaches and shops, ten minutes airport and two minutes from motorway. Independent studio of 33 meters in a large apartment roommate. Living and sleeping area of ​​23 sqm. Two-seater sofa, table and chairs, coffee table, 3-door wardrobe, TV, table, curtains chandeliers. Large bay with built balcony. Superb sea and mountains. Open kitchen well equipped: large fridge freezer, washing machine, microwave, worktop, gas hob 4 burner, high and low furniture more wardrobe and window to the great outdoors. Shower room, enclosed cabin sink cabinet, Sani- mill, mirrors and spotlights. Quick access highway. Bus outside the residence. Bus at the door of the residence. Rent including charges. 1 or 2 queen size bedrooms with separate bathroom terrace with pool. Living room with TV. Independent access. Quiet and secure residence with swimming pool and sea (Cap d'Antibes) view. Crossing apartment, 2 en-suite bedrooms plus a swing bed 2 people in the lounge, fans in each room. NICE WEST 12M2 near the sea and transport. 4 Kms from downtown. Two rooms on the beach front, facing the sea, fully furnished. Capacity: 4 people. Enclosed terrace. Kitchen, quiet, comfortable, close to shopping, restaurant, diving clubs, windsurfing, canoeing, kayaking, bus, train, airport nearby, A8. Parking possible. Price according to dates. This is my room with TV and internet that I provide where you can enjoy a terrace with sea view, public transport outside the residence that bring you both in the city center of Nice at the Nice airport. You can also enjoy the swimming pool, and eventually, I can pick you up or go to the airport. Kitchen, living room and bathroom are shared. You wish to find a rental in St-Laurent-du-Var? St-Laurent-du-Var is a charming city located in France. With Roomlala, the inhabitants of St-Laurent-du-Var are very happy to welcome you, whatever the reason for your rental (tourism, travel, business travel, internship, studies, etc.). The site is at your disposal to help you find a furnished rental in St-Laurent-du-Var or a private room in St-Laurent-du-Var. What's the difference? By renting a room with the inhabitant, you mainly rent a room, within the housing of the inhabitant in St-Laurent-du-Var. Finding a furnished rental in St-Laurent-du-Var is like renting a studio, an apartment or even a house in which the owner is also living in the property. 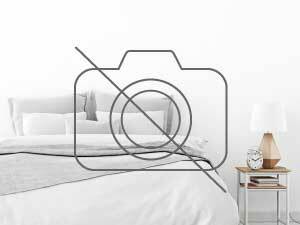 In both cases, the rentals will have obligatory equipment that make each a "furnished rental". . Thanks to Roomlala you can also find a roommate or roommates in St-Laurent-du-Var. If you have already found an accommodation (house, apartment), you can then simply publish a free ad to look for your future roommates with whom to share it with. If you have neither accommodation nor roommates yet, you can directly find a roommate in St-Laurent-du-Var, or in a preferred borough of St-Laurent-du-Var, for medium and long durations (room to rent at the month at the year). For shorter stays, our platform also allows you to search for a guest room in St-Laurent-du-Var or a bed and breakfast in St-Laurent-du-Var, near the tourist places of St-Laurent-du-Var. On the occasion of a holiday rental in St-Laurent-du-Var, you can visit its essential places and also stroll around the city. You will be able to walk along its most famous avenues and streets. 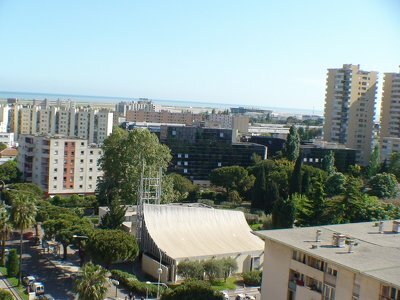 Another possibility: you are looking for accommodation in exchange of services in St-Laurent-du-Var? Roomlala offers you rentals for services such as childcare, help for the elderly, school support, home help, intergenerational housing, student help, babysitting, cleaning, etc.